Four Texas Managing Partners recently discussed legal industry news, trends,insights, forecasts, marketing roles and necessary changes to fundamental law firm business models at an April Legal Marketing Association Dallas City Group panel luncheon hosted by Haynes and Boone LLP. The room was filled with attorneys, senior and junior marketers, and COOs who said they appreciated the opportunity to hear how top law firm leaders answered the provocative questions. The panelists were Terry Conner, Managing Partner at Haynes and Boone LLP; Robert Jewell, Managing Partner at Andrews Kurth LLP; Emily Parker, Managing Partner at Thompson & Knight LLP; and Kevin Sullivan, Chairman and CEO at Winstead PC. The discussion was moderated by Deborah McMurray, CEO and Strategy Architect at Content Pilot. Competition for legal business is now worldwide rather than local. Clients want to reduce risk by litigating less. The number of lawyers is increasing faster than demand – there were 46,000 new lawyers in 2012 alone. McMurray began the discussion by sharing several book titles she found on Amazon while searching for books on Lawyers. She was surprised so many negative industry outlook titles published in 2012 and 2013 were returned in her search. Panelists were asked to start with the shift in demand for legal services and what they see in their crystal balls for 2020, only seven years from now. “People tend to overreact to dire situations and have exaggerated perspectives when times are good or bad,” Winstead’s Sullivan said. He predicts that we will continue to see fracturing among different-sized firms but says that we won’t see changes to the fundamental structure of law firms – law firms will still basically be law firms. 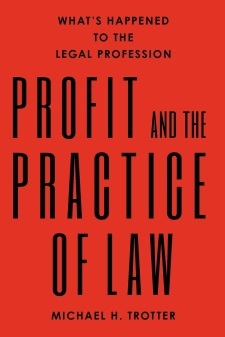 Andrews Kurth’s Jewell pointed out that books like the ones mentioned above will drive people away from pursuing law school degrees, which will correct the overabundance in the supply of legal service providers. He added that it’s cyclical – this will result in a shortage of lawyers in key areas in a few years. Thompson & Knight’s Parker reminded the audience that that the criticism of lawyers that we are hearing today has always existed going back to Charles Dickens classic tale “Bleak House.” Dickens story reveals an arcane legal system badly in need of reform, where an estate case spans years without resolution and racks up an exorbitant amount of legal fees. For the second question, McMurray reminded the panelists and audience that we have heard a lot of discussion over the last 20 years about how the pyramid-shaped structure of law firms is changing but, in reality it has only grown taller and narrower (with the number of equity partners decreasing). “Given the change in service demand, do you see the law firm business model fundamentally changing over the next decade,” she asked. “Clients are loud and clear in their desire for us to be more accountable, and they want to know who is working on their accounts,” Jewell said. There is no longer any tolerance for huge teams to be assigned to client projects. “Our challenge is to demonstrate to clients how young attorneys can add value to their matters,” he said. In response to this challenge, Andrews Kurth provided a young class of associates with The Fullbridge Program training, a business boot camp to help junior associates understand the business framework underlying their legal work. Jewell views the training as a success, concluding that this particular group of associates is noticeably busier than their untrained counterparts. Sullivan believes we will continue to see incremental changes. He believes it’s imperative for each firm to study business models practice group by practice group. “Every practice cannot be leveraged.” he said. One change that has been clear, Sullivan said, is the rise of attorneys as employees. Firms are seeing an increasing number of non-partner-track staff attorneys and counsel positions, which is a good move for clients, creating customized, economical service solutions, he said. Conner commented on the need to become more efficient, the decline of billable hours and the importance of determining the profitability of projects. “I think legal marketers will be involved in these determinations,” he said. It costs a lot of money to go to law school, Parker said. “Prior to about 1992, only about 50% of people attending law school did not end up practicing in private law firms. After about 1992 and through 2008, the percentage going into private law practice increased to about 75%. Since the ‘great recession,’ the percentage going into private practice has dropped back to about 50%,” she said. Sullivan agrees that it is better now than it was two years ago. “I don’t see anything drastic changing,” he said. “Competition remains strong for top graduates from law schools. We do need to really pay attention to the new lawyer experience,” he emphasized. Focusing on creating top-notch training and experience will help keep these tops grads interested in practicing law, he explained. See Part 2 of 2 in the next blog post following this one.